After all these years, it is rather funny to read about folks fighting for “freedom fries” instead of calling it french fries. Those are certainly some crazy days back then, and if you would want to sleep on a bed that is equally zany without having ants and roaches come crawling in your direction, you could certainly do a whole lot worse than the French Fries Bed. 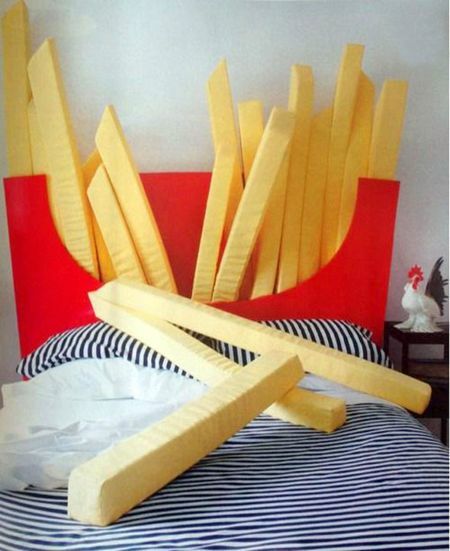 The name of this particular sleeping implement says it all – it is a bed that looks like one of those regular french fries cardboard boxes, except that instead of the sweet smell of freshly fried fries, you will sink your tired head and body into a soft mattress after a particularly difficult day at work.